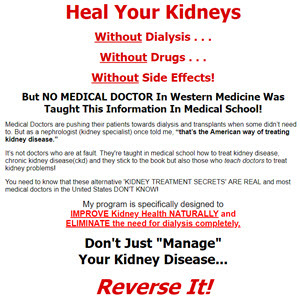 Despite all the work that you may have done in following the advice and treatment plans given in this book, and working with dietitians and your doctors, you may find that one day you do need dialysis. When kidney function gets very low, dialysis is necessary to replace the work of healthy kidneys and to remove waste products from the blood and body fluids. The two types of dialysis, hemodialysis and peritoneal dialysis, are very different. During hemodialysis treatment, your blood travels through tubes into a dialyzer, which filters out wastes and extra water. Then the cleaned blood flows through another set of tubes back into your body. The dialyzer is connected to a machine that monitors blood flow and removes wastes from the blood. Patients usually need hemodialysis three times a week, with each treatment lasting from three to five or more hours. During treatment you can read, write, sleep, or watch TV. Several months before your first treatment, an access to your bloodstream must be created in the wrist. You may need to stay overnight in the hospital, but many patients have this procedure done on an outpatient basis. This access provides an efficient way for the blood to be carried from your body to the dialysis machine and back without causing discomfort. The two main types of access are a fistula, in which an artery is connected directly to a vein, and a graft, which connects an artery to a vein with a synthetic tube. When you go in for your regular dialysis, you're given a local anesthetic and then your blood is drawn out with a needle from that access point. Problems with these forms of access are the most common reason for hospitalization among people on hemodialysis. They include infection, blockage by clots, and poor blood flow. You may need to undergo repeated surgeries in order to get a properly functioning access. Other problems can be caused by rapid changes during dialysis in your body's water and chemical balance. Muscle cramps and sudden drop in blood pressure, which can make you weak, dizzy, or nauseated, are common.